If you could access hundreds–even thousands—of computers for your scholarly work or the work you support, what could you do? How could it transform research? What discoveries might be made? 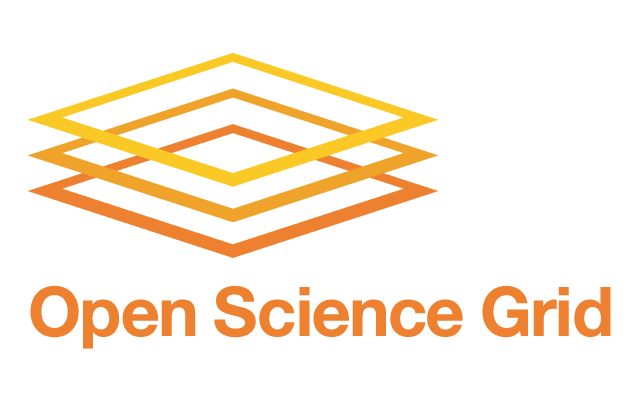 The Open Science Grid (OSG) User School will take place from July 15-19 this year, at UW-Madison, and applications are open until April 12. Participants will learn to use high throughput computing (HTC) to harness vast amounts of computing power for research, applicable to nearly any field of study (physics, chemistry, engineering, life sciences, earth sciences, agricultural and animal sciences, economics and social sciences, medical science, and more!). Using lectures, discussions, role-plays, and lots of hands-on work with OSG experts in HTC, participants will learn how HTC systems work, how to run and manage many jobs and huge datasets, how to implement a realistic scientific computing workflow, and where to turn for help and more information. Ideal candidates for the User School are graduate students doing research and staff (facilitators, administrators, etc.) who support research that involves or could involve large-scale computing (i.e., work that cannot be done on one laptop, or even a handful of computers). Applicants should have basic experience using the Linux command line, or be able to learn this beforehand. This is not limited to current graduate students or research support staff— applications from post-doctoral students, faculty, research staff, and undergraduate students with advanced backgrounds in research and computing are welcomed, as well. Making a strong case for yourself, regardless of your academic status or role in a lab, is encouraged! All basic costs for travel, hotel, and food are covered for applicants who are selected to attend the School. To apply, you’ll need to complete an application form and have a letter of recommendation sent to the User School. This should come from someone that you know professionally, ideally a faculty member or other supervisor. Letters of recommendation should be in either plain text or PDF format, and sent to user-school@opensciencegrid.org with your name and “OSG User School 2019” in the subject line. Applications have closed for this year’s OSG User School. Any questions about applying or the School can be sent to user-school@opensciencegrid.org. At UW-Madison, the HTCondor team in the Computer Sciences Department has been developing and evaluating mechanisms and policies that support HTC on large collections of distributively-owned heterogeneous computing resources. The OSG works to support national, distributed computing partnerships for data-intensive research. The organization consists of computing and storage elements at over 100 individual sites throughout the U.S., primarily at universities and national labs, where the computing power ranges in size from a few hundred to tens of thousands of CPU cores. This model is rooted at the core of the OSG’s mission of providing opportunities for researchers to share and access computing resources.